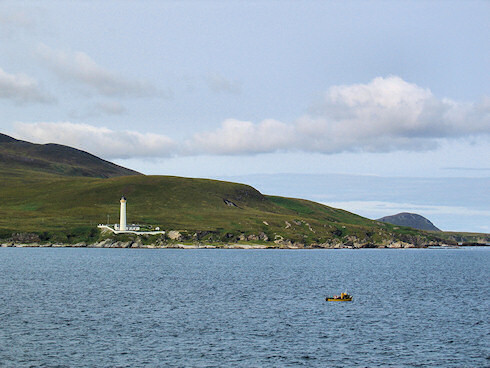 A fishing boat at work under Rhuvaal lighthouse in the north east of Islay. As usual I will post a larger version on the Islay Pictures photoblog tomorrow morning. With that I'm calling it a day. Good night. Please return tomorrow, as there will be an important call for help from Islay!